Hezbollah Secretary General Sayyed Hassan Nasrallah delivered on Tuesday a speech in which he tackled various regional and Lebanese files. 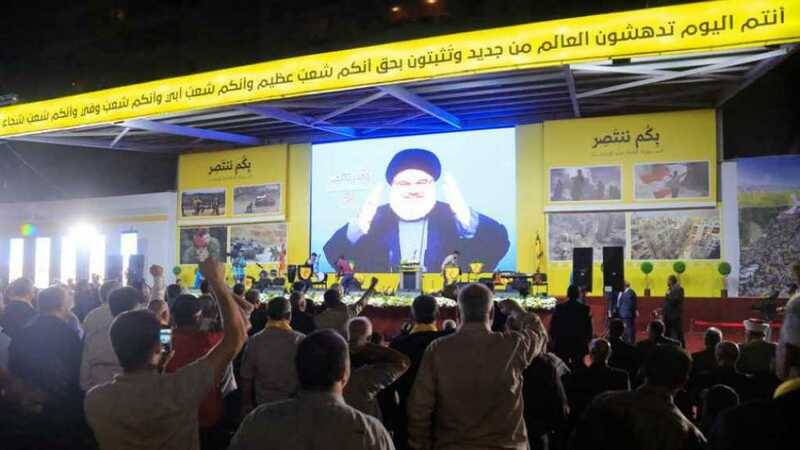 Addressing tens of thousands commemorating 12 years on 2006 victory, Sayyed Nasrallah congratulated the huge crowd in Dahyieh [Southern suburbs of Beirut]f or celebrating the great victory. “Today we celebrate victory and we insist to mark this occasion, as we will also celebrate next week the first anniversary of Second Liberation when Takfiri terrorists were defeated in our land,” His Eminence announced. He further praised Iran and Syria for their steadfastness and the crucial supporting role they played in 2006 victory. On this level, he repeated that the Resistance today- in 2018-is in its greatest capabilities.